WeVideo Video Editor App for iOS / Android is a super easy to use storyboard-style video editor that connects to the WeVideo Cloud for further online editing if needed. 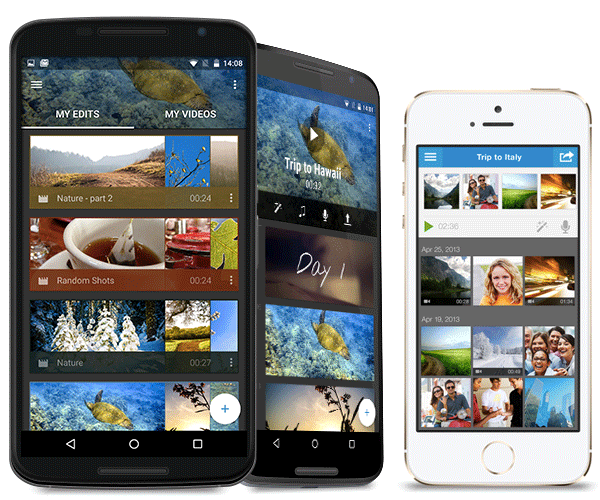 With WeVideo Video Editor App you can capture memories wherever they happen and turn them into amazing videos to share with co-workers, friends and family, across your favorite social networks. 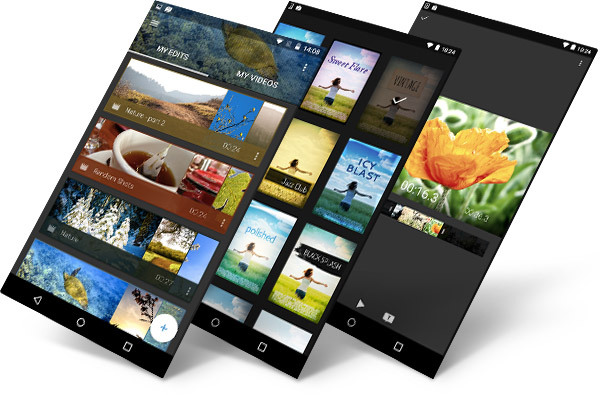 If you are looking for a simple video editing app to perform basic video editing, then WeVideo would be an excellent and impressive choice. Arrange and trim clips, splice together photos & videos, add title and caption text, adjust track volume, and stylize with any one of the unique WeVideo themes, export and sync all via the cloud, and share on your favorite social networks. Content created on WeVideo Video Editor App syncs with the WeVideo Cloud and can be edited with full creative control on WeVideo.com. So, all your videos and projects are all stored online, safely, for you to edit wherever you are. Finished videos can also be downloaded to the phone's gallery. With your co-workers, family and friends. 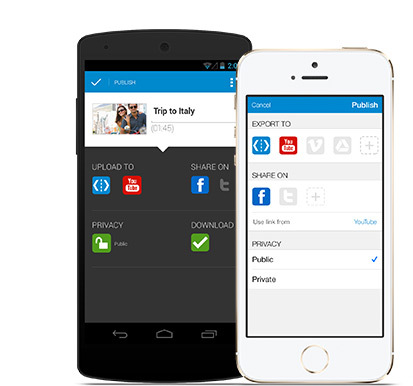 Post your finished video online on WeVideo.com or YouTube, and share on Facebook and Twitter, with a single click. Offload your local device, by leveraging the WeVideo Cloud to bring new export performance to your device. 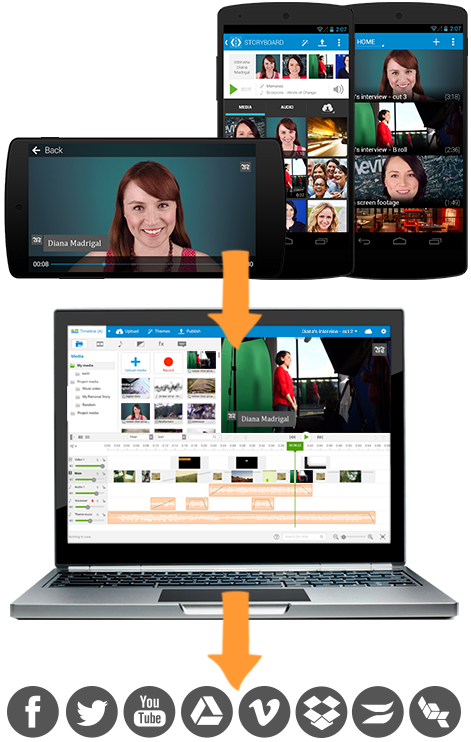 WeVideo Video Editor apps and WeVideo Cloud allow organizations to connect their entire end-to-end workflow. Enable distributed teams to contribute to a workflow of capture, editing, reviewing, and publishing. Use the WeVideo Video Editor apps to create initial version and leverage WeVideo cloud to collaborate with various parts of the organization.